This is the UK's best Samsung Galaxy S9 Black Friday deal | What Hi-Fi? ’Tis the season to snap every Christmas light and festive lunch in sight - and what better smartphone to do that on than one of our current favourites, the Samsung Galaxy S9… especially now that it’s heavily discounted for Black Friday. 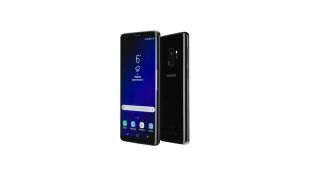 First off, Mobiles.co.uk has slashed £50 off the Samsung S9 upfront price with a two-year EE tariff that gets you 4GB data and unlimited calls and texts for £19 a month. It's now only £150, down from £199, then. That makes the total cost over the two years only £606 - the lowest we've ever seen for 4GB data on the Samsung S9. To get it, simply apply our exclusive TECH49 discount code at checkout. The catch? Mobiles.co.uk says there's only limited stock, so if you're interested in this great deal you better act quickly. And that's not the only great Samsung S9 deal floating around. Thanks to a new discount code provided by Mobiles.co.uk, there’s now £15 off the upfront price when committing to Vodafone’s £23/month tariff, which offers 4GB of data and unlimited minutes and texts. You simply have to use the code OMD15 at the checkout, bringing it down from £85 to just £69.99. So if you'd rather spend a little more each month to pay less upfront, this could be the deal for you. This fantastic deal makes the two-year contract price for the Samsung S9 just £621.99. Not well-versed in Samsung’s 2018 flagship handset? In our five-star review, we praised its superb screen, operation, design and dual-aperture camera, calling it ‘one of the best Android phones this year’ and ‘one of the best designed smartphones you can buy’. Its audio performance may not be the last word in timing and organisation (the iPhone X takes it for overall sound quality) but the S9 is certainly still a king of video, and offers a smattering of improvements – new camera tech, faster processor, better speakers, and overall improved experience – to leave its S8 predecessor in the dust.